Acuinuga is a company dedicated since 1998 to the comprehensive supply of services, technical assistance and products for the aquatic animal production and nutrition industries. Acuinuga is organized around two main divisions: the Aquaculture Division and the Nutrition Division. Our main objective is the provision of comprehensive assistance to the producer of aquatic species. Spain and Portugal hold the highest per capita consumption of seafood in the European Union, tripling the European average. The Aquaculture industry in Spain has shown strong growth during the last decade. This growth has been most evident in the northwestern region of Galicia, due to the intensive farming of molluscs, fresh and seawater fish and crustacea. However, and in spite of the ever-increasing number of cultivated aquatic species, technical assistance and know-how are still not readily available. We have taken all this into consideration, and to tackle our main objective we have organized Acuinuga´s Aquaculture Division under three main units. Our aim is to provide our customers with the best technical services, the most recent knowledge and ground-breaking products for the aquatic animal production industry. In our experience, feed-related expenditure represents up to 50% of total production costs at many aquafarms. But in addition to its economic importance, nutrition plays a critical role in the maintenance of optimum health, reproduction, welfare and other essential issues in Aquaculture. Here at Acuinuga we believe in the need for continuous improvement in the nutrition of farmed animals. And in spite of marked contrasts in the nutrition of different aquatic species, there are common aspects in their digestive physiology which are most valuable in the development of effective products. 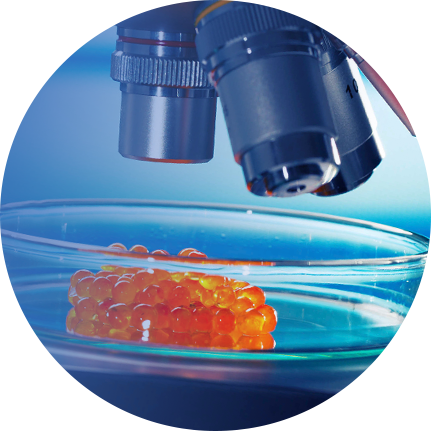 Capitalising on our well-trained, all-embracing professional team and broad experience within the aquatic animal production industry, we deliver a strong technical coverage for the nutrition of aquatic species.